With everything going on in the world lately, it wouldn’t hurt to help each other out once in a while… even if they’re totally different. We’re all made of bones on the inside anyway. 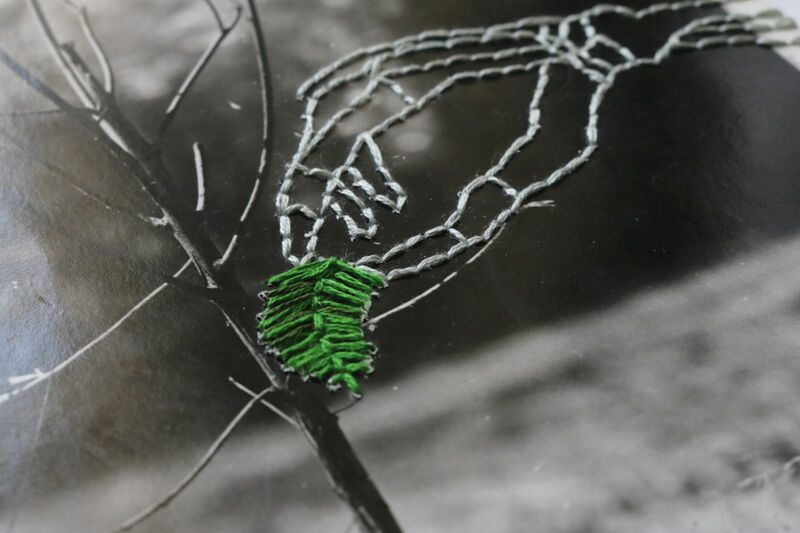 For this embroidery piece, I stitched a skeleton hand adding a leaf to a tree. 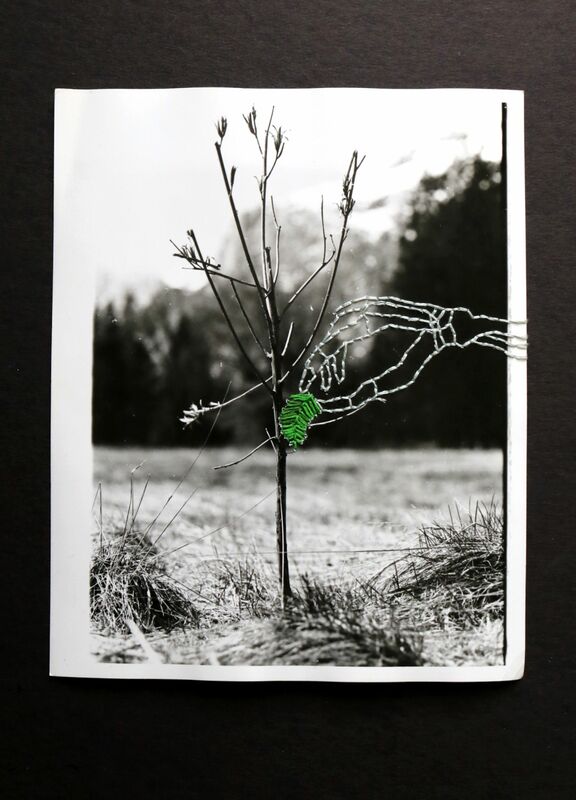 The photograph is from someone’s class project back in 1975.